As an offbeat bride one must think outside the box and how about this for one, replacing the bouquet? But replace it with what you may ask? How about the following? A staple for all us ladies whether we are going out for the night or just to work. So why not take one down the aisle? It will come in handy for storing little items such as tissues, lipstick and compact. A perfect example is from Roselani Jasmin shop. 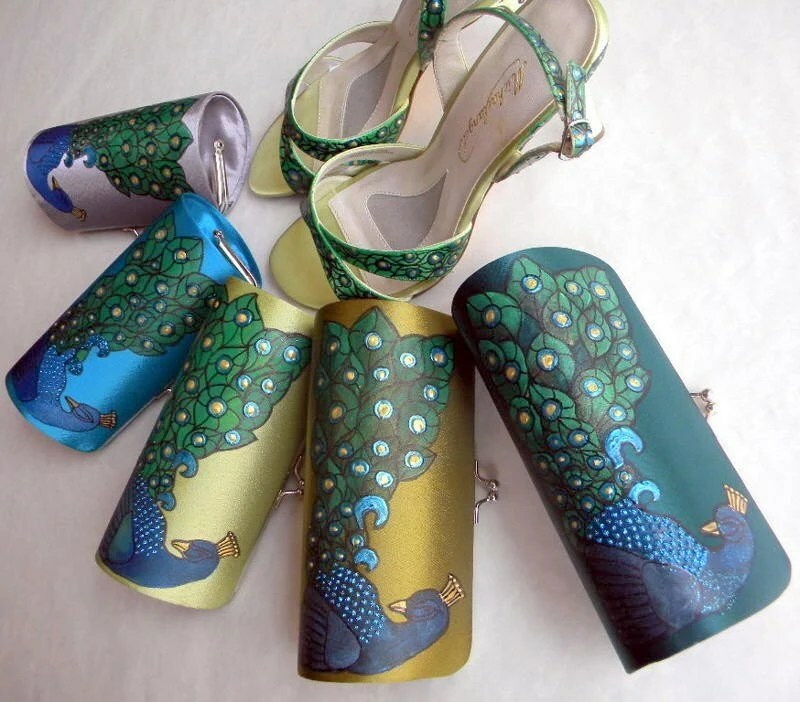 Of course your bridesmaid can not be left out so about getting some matching ones from Norakaren. 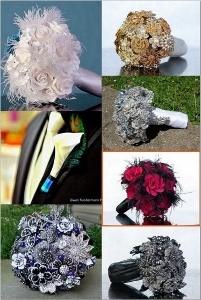 For those are getting married in chilly climates then discard the bouquet and opt for a shrug to keep your shoulders warm. 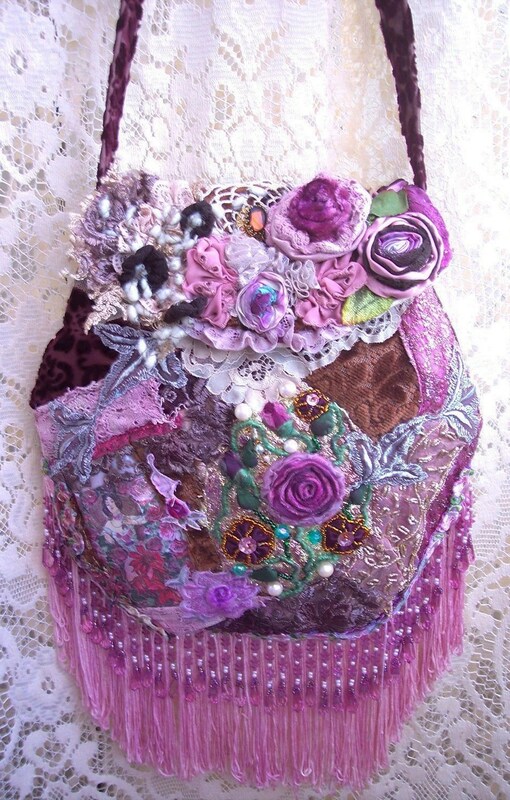 This lovely purple shrug from Vintage Frocks of Fancy should get you all the attention and more! And this capelet from Liaison is full of glamour and fashion. 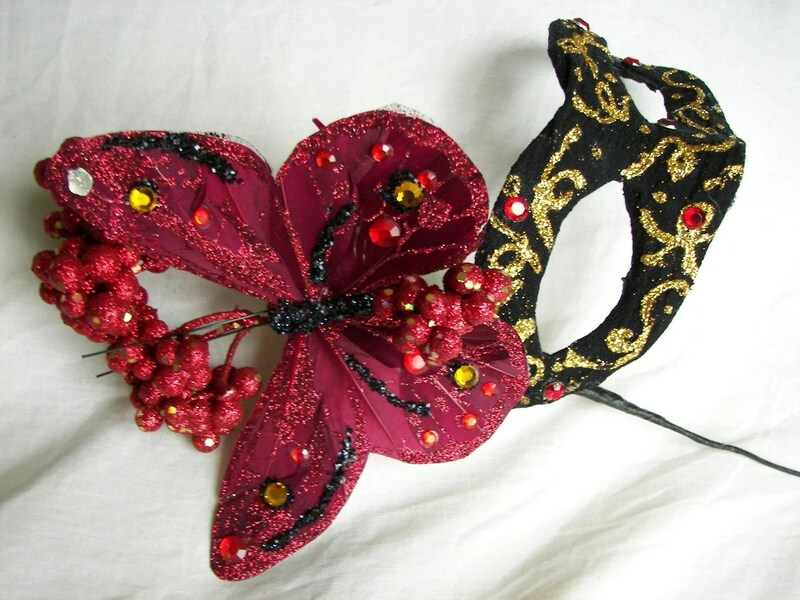 If your wedding theme is masquerade then walk down the aisle with a mask instead. Artisan Maskers creates a whole range of mask that will tickle your fancy. In fact why not get the whole congregation to have mask? I hope this has given you offbeat brides of some ideas of breaking the mould.